Open new horizons for your online store and migrate to award winning free open source shopping cart - PrestaShop! Migrate all your data from 55 supported carts including Magento, OpenCart, VirtueMart and other to PrestaShop or upgrade an existing store easily and flawlessly. Migration price depends on the amount of entities you wish to migrate and starts from $69. Use Migration Estimator to calculate the cost of your migration. 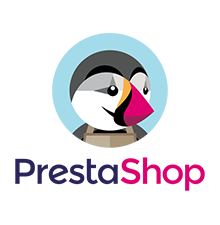 Cart2Cart is now official PrestaShop’s Technology Partner! Solid cooperation between two world’s leading solutions made migration to PrestaShop faster, more secure and effective.